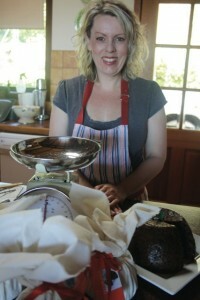 I started making plum puddings for family and friends in my home country kitchen at Jindivick, in the rolling hills of Gippsland. As each Christmas came and the word got around, my orders kept extending, so I decided to open Jindi Belles. Demand for puddings is still increasing, and I now supply my puddings to various restaurants and markets. I steam my puddings the old fashioned way, giving an exquisite balance of sweetness and richness, that sums up Christmas Day in every mouthful. I only use natural ingredients (including free range eggs), sourced from local produce, with no preservatives or suet. My special recipes include using whole dark plums to offer sweetness and moistness to the puddings, as well as the usual fruits and a hint of brandy (but not too much!) giving a decadent texture and taste. My range of puddings has recently been extended to include Sticky Date Pudding (everyone’s favourite!) and Triple Chocolate Pudding. All are made with accompanying sauces which are the perfect complement to each pudding. Puddings range in size from 120g to 1.9kg to cater for all occasions, even Christmas in July. 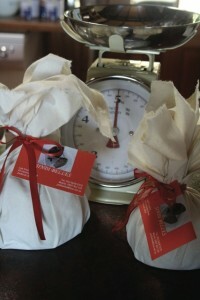 My puddings make a great personal or corporate gift, beautifully presented and wrapped in calico. Now tell me you’re not hungry?! Enter the words as per the image so we know you are real! All our puddings are Australian made!